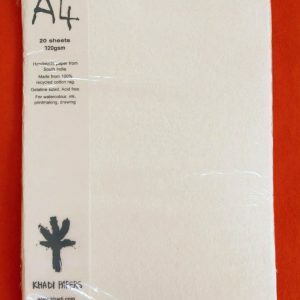 This amazing khadi paper black sketchbook is perfect for an artistic professional or hobbyist. 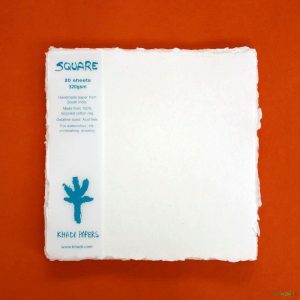 This item is great as a wire-bound album or watercolor/drawing book. 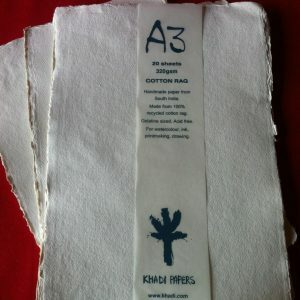 Our customers love our khadi paper offerings. Why? 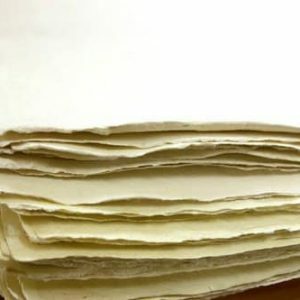 Because khadi is a beautiful handmade paper from India that is unique and useful. 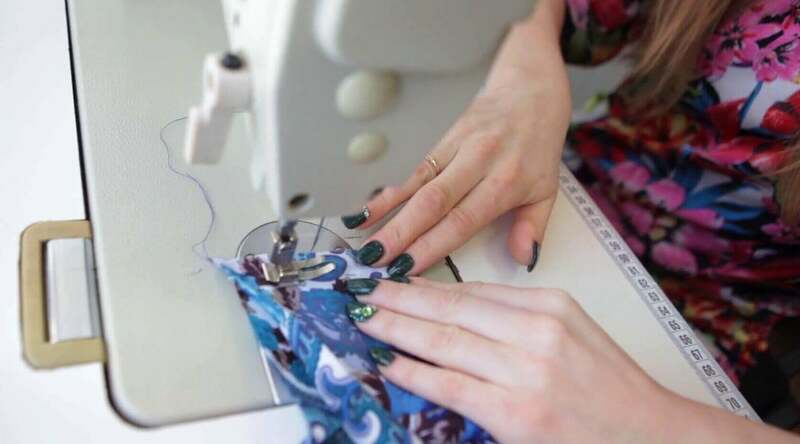 They are created from 100% cotton rag and old fabrics. Therefore, it’s acid-free. 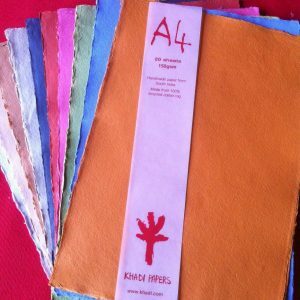 The paper is strong and perfect for eco-conscious artists and hobbyists. 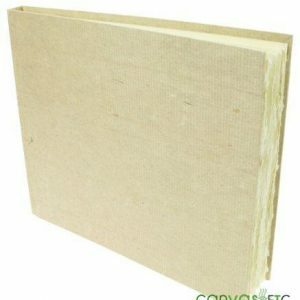 Our paper doesn’t use any wood pulp. 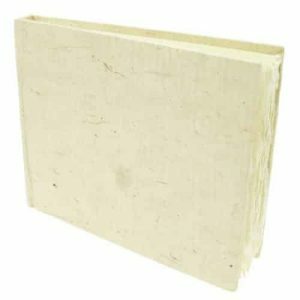 That means it doesn’t use any natural forest resources nor are harmful chemical used in production. The final product is pH balanced and promises to preserve your works of art. Drawing on black paper is very novel! It’s fun to use and fun to give as a gift. 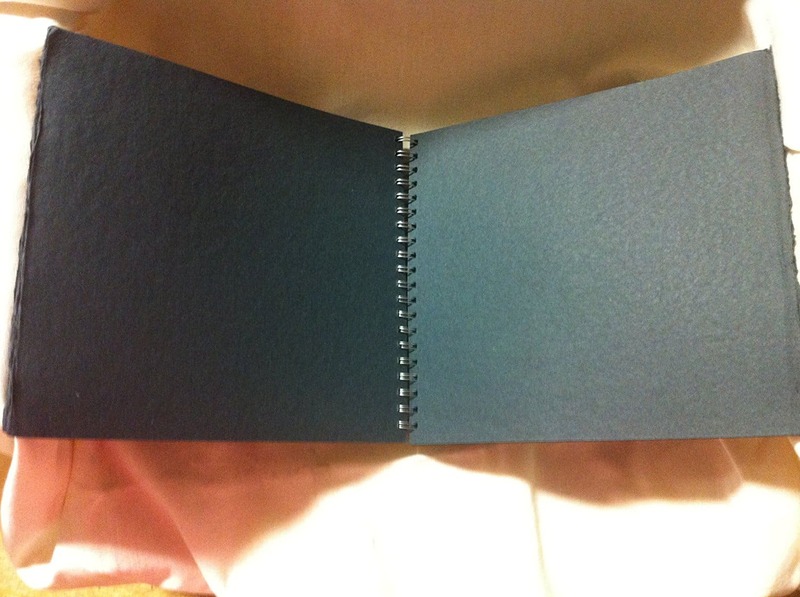 Also, black paper items are hard for printers to create because of the special inks needed. With a few standard art supplies, you can create some amazing, luminous designs. 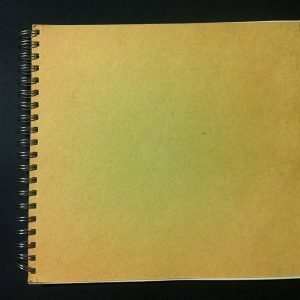 Black sketchbooks aren’t just used for drawing or painting, however. They make great photo album books. They contrast nicely against prints to show off family photos or professional photography. 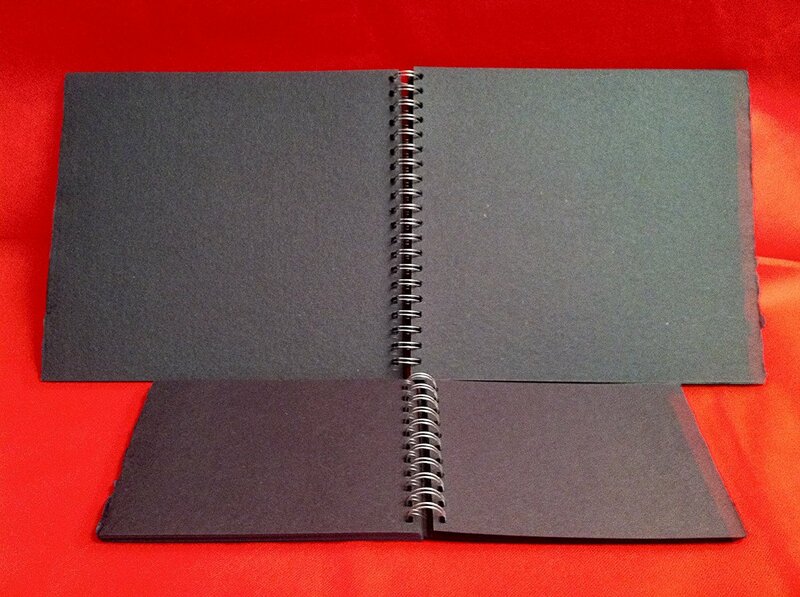 Our black khadi wire-bound books make great portfolios as well. Show off your pieces, or display them for guests in these clean, simple books. Art on black paper is a challenge! Read on to learn more about working with black sketch paper. Creating art on black paper is often called working in reverse. For beginners, we suggest starting your colors off light and building up your pencil or paint. Why? Because black is the darkest tone. So, here you’re working our lightness up instead of your depth. It’s not a conventional artistic exercise, but it sure is a fun one! Read on to learn more about sketching and painting on black paper. Black paper isn’t very forgiving, and it’s hard to erase because you start digging deeper into the paper. So, at Canvas ETC, we suggest planning your illustration in advance. A good tool to help you gets started is a soapstone pencil. This is usually used by quilters to mark fabric. However, it also looks great on black paper! It’s ideal for making yourself guidelines and it rubs away when you donÛªt need them anymore (no erasure needed). If using pastels, watch out for pastel dust since the black provides a high contrast. These don’t HAVE to be white. If you have good quality pencils, most bright colors will show up nicely. Not familiar with brands and quality? Ask someone in the art department at your local craft shop. These are very affordable. You can get a good white gel pen for around $1.50 in most craft stores. Test out a few different ones to check for opacity. Gouache is a type of paint that is centuries old. People don’t use it as often anymore, but it has some great characteristics. Pronounced gwosh, gouache is what some often call an opaque watercolor for its traits. 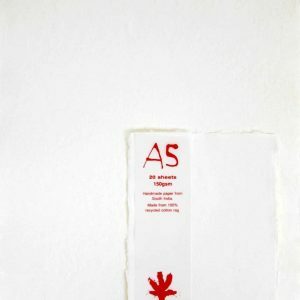 This paint consists of natural pigment, water and some type of binding agent (like gum arabic). Plan your drawing in advance to avoid mistakes and to make sure the color POPS. Use colored pencils or charcoal if you prefer dry media. With them, you can slowly build volume with traditional shading techniques. Sharpen your pencils to give yourself more of an edge with bright white color. You can use pens too, but watch out for opaque inks that may not stand out enough against the dark paper. So, we suggest using white gel pens. 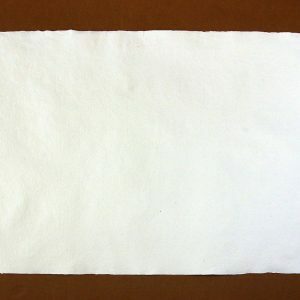 Watercolors tend to fade on white paper. If you’d like to paint, check out gouache. It has both acrylic and watercolor traits that create bright, luminous pieces. 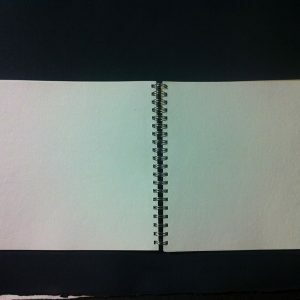 Photo Albums: Photos pop nicely off a black sketchbook. Place on your bookshelf or coffee table to display your best family photos. The paper is pH balanced, so you don’t have to worry about spoiling your photos. Collages: Collaging can be therapeutic! Take old magazines, photos and other media to make a delightful collage. It can be a vision board or other activity to get your mind and hands working. Recipe Books: Gather your tried and true recipes and create a useful recipe book. 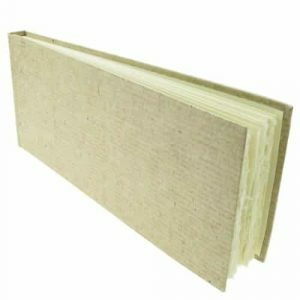 Write directly in the book or paste in old index cards with images or drawings of your favorite dishes. Scrapbooking: Take your photo albums to the next level with scrapbooks! Take those photos and add stickers, 3D paper-craft and writing to narrate your photo story. Perfect for chronicling your child’s growth or commemorate a milestone event. 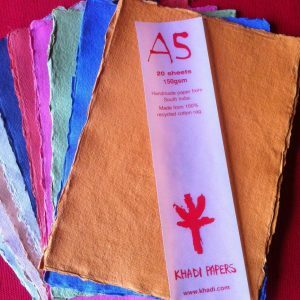 Khadi is a handmade paper from India. 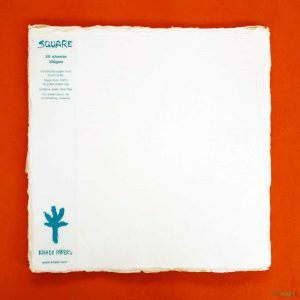 It’s a durable paper that can withstand time. It does come in various weights. So, if that is a concern to you, be sure to click the link to view our other artist papers below. 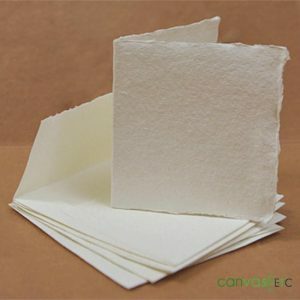 At Canvas ETC, we carry a wide selection of artist papers for your artistic endeavors. 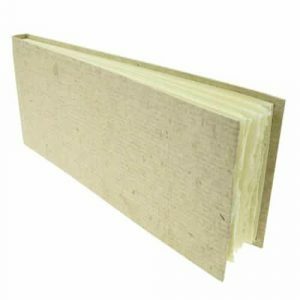 We personally take the time to source our products from the best manufacturers. 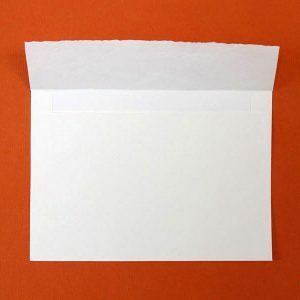 Since paper is becoming more difficult to manufacture. 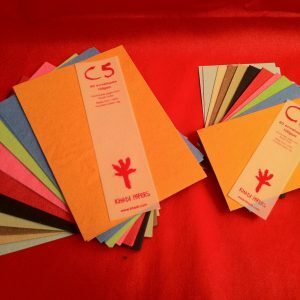 Cotton rag paper is wonderful alternative. It’s our plan to continue carrying such products. So, stay tuned for new products! We hope we were able to help you decide if this product is right for you. If you have a particular application and you’re not sure what you need, contact us. 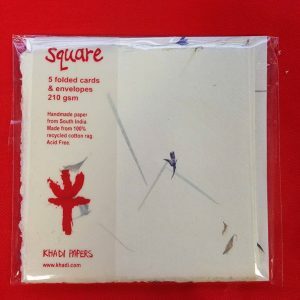 You can view our other artist paper offerings here.